It’s a big job. Amazing how mistakes slip through despite best efforts. We tend to read according to what we expect to see, rather than what is. Thankfully, as you said even though God sees our mistakes He also sees what Jesus has done for us and our mistakes are covered. What a blessing! Meant to say really like the cover. Yes, even after editing seven of my own books now, I am still amazed at the mistakes that slip through. Some can be just simple typos, but others are things like repeated words and phrases, clumsy sentences, unnecessary info etc. But it truly was a good reminder to me that that’s what our lives are like before God but those mistakes are wiped out or overlooked because we belong to Jesus. I guess that’s something we should never take for granted, isn’t it? And I’m so glad you like the cover, Dale. I have loved the covers of all of my books and wasn’t sure what to expect in that regard with my new publisher, but I love this one too. Are you able to get to the Word Writers’ Getaway in October in Qld? It would be lovely to meet you. God bless. Unfortunately I can’t see my way clear to doing that, unless something major changes in the meantime. I wish one was held in Sydney. I could make that. in remembrance of our times together in your lounge room and the life changing impact your mentoring had on me, I am looking forward to October when I can bring your book over the far side of the ocean. Wow, lovely to hear from you, Linda! Those times in our lounge room sure seem a long time ago now, but I certainly remember them. From what you wrote, it sounds like you might be over our way again this year, if you plan to take my book home! I hope I don’t miss you this time then – I remember I was away last time you were here. But I can always post you one. 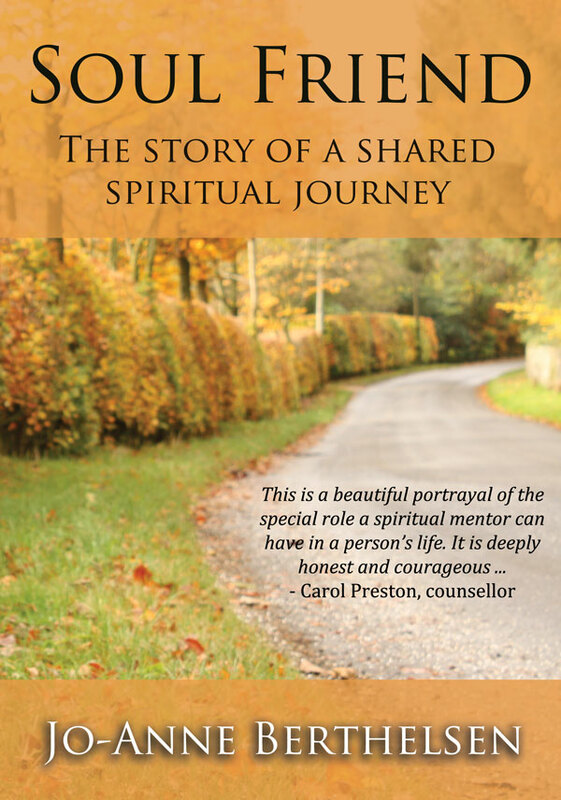 This book is about my own journey with my lovely mentor and friend Joy, but I hope by sharing my struggles and challenges that others will be encouraged. God bless. I remember you sharing about Joy. I have plans to ship a copy or two over here. Valuable insights and a lovely gift to those close to me here. Loving finding a new post from your blog in my inbox. Please continue….and i’ll be in touch when we have plans for a visit ‘on the far side of the ocean’. I love that cover, Jo-Anne! EBP sure does a great job with their covers. I can SO identify with your post – including holding that little grandchild as you try and work. My husband even took a photo last week when our seven month old went to sleep on my lap – which doesn’t happen very often. Over the years I sure have had far too many typos and mistakes somehow missed in these final edits – and including in blog comments too!.